Do you know a communicator who is a force of nature? A rising star? A leader who lights and leads the way for others? Someone with a passion for learning? An outstanding chapter volunteer? 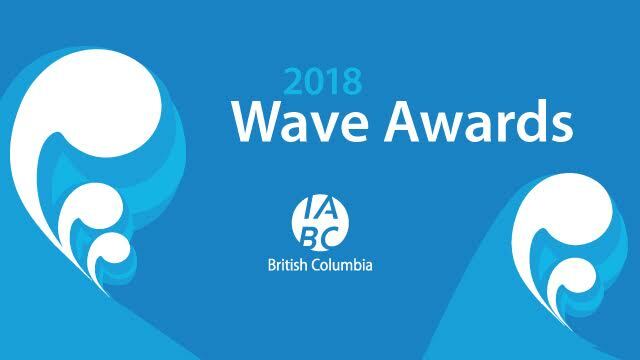 If you do, consider nominating them for one IABC/BC’s 2018 Wave Awards! It’s that time of year again. Every spring, after looking back on the many accomplishments of our chapter at our AGM (watch for a save-the-date soon), we celebrate the amazing work of our members with the Wave Awards, now in its fourth year! You can help recognize an outstanding colleague for their accomplishments – be they professional, volunteer or academic – by nominating them for one of seven different awards. The deadline for nominations is 4:30 p.m. on Friday, April 27th, 2018. Making Waves Award: a junior to an intermediate communicator, generally with less than five years in the profession, who has distinguished themselves through their work in a communications role. Lighthouse Award: a senior communicator with 10+ years in the profession. Ripple Effect Award: a communicator with any level of experience who has used their communication skills to support a community organization or cause in an unpaid role. SAIL Award: a promising student who is currently enrolled in a communications education program in British Columbia. New Navigator Volunteer of the Year Award: IABC/BC volunteers within their first or second year of volunteering who have made major contributions. Big Splash Volunteer Award: IABC/BC volunteers for more than two years who have made major contributions to the chapter. Long Beach Volunteer Award: Outstanding IABC/BC volunteers who have volunteered five or more years. How can I make sure I’m submitting a strong nomination? First things first: make sure that you download the nomination guide for the category in question, available on the Wave Awards page. Then make sure that you provide the evaluators with enough detail to understand that your nominee is the best pick for that category. Back up your points with specific examples, wherever possible. And finally, if the nomination isn’t a surprise to the nominee, consider asking them for specific evidence that can back up the case you’re building for them to win an award. How long will it take me to complete a nomination? Submitting a nomination to the Wave Awards is quick and easy! As you’ll see in our draft nomination forms, available on the Wave Awards page, most submissions consist of responses to four questions with a reasonable character limit. Depending on how caffeinated you’re feeling, a nomination could take between 15 minutes and an hour, depending on how familiar you are with the nominee. Nominees must be current IABC/BC members at the time of nomination and at the awards event (June 12, 2018). Exception: SAIL award nominees do not need to be IABC/BC members, but they must be currently enrolled in a Communication-related program at a BC post-secondary institution. IABC/BC board members are not eligible for volunteering-related awards. To speed things up, collect a few supporting testimonials (for non-volunteer awards) in advance. Each of the Making Waves, Ripple Effect and Lighthouse award categories asks you to collect up to three 250-word testimonials to support your entry. Alternately, you could opt for two 375-word testimonials or just one 750-word testimonial. Join us on Tuesday, June 12th as we celebrate our amazing members and hand out the coveted Wave Awards to the winning nominees. Watch for an invitation in May. Adam Brayford, Assistant Director, Digital Communications at Simon Fraser University is a long-time IABC/BC member and volunteer. Gary Carr, Senior Communication Consultant at Gary Carr Communication is an IABC/BC member for the past 25+ years.